George Grljusich studied Law and graduated from the University of Western Australia, though his passion in life was sport, playing 12 league games in the West Australian Football League for South Fremantle, and an ardent follower and student of most other sporting endeavours. 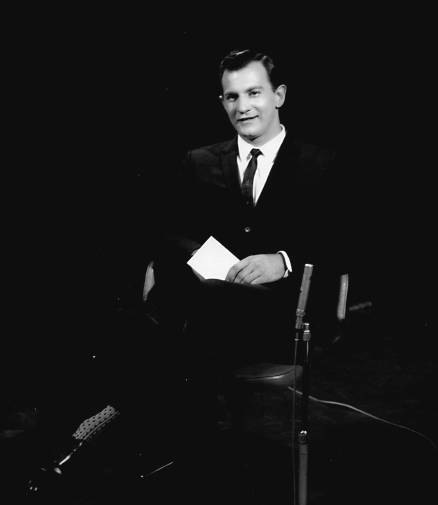 He began his broadcasting career with the ABC in 1960, whilst still playing for the South Fremantle Football Club. George was one of the few department supervisors who balanced his budget, or was left with a small surplus, when others made a habit of overspending so that they could argue for more funds next year. It seemed less that rewarding when George’s status was diminished and his area and budget placed under a high spending department, whilst the small permanent staff of the sporting team was put under more pressure. 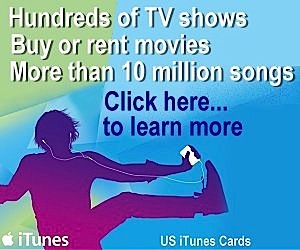 The original Sporting Department serviced both television and radio state wide. Now George became subordinate to the local metropolitan radio station. Though when the ABC became a no smoking area, no one was games to tell George that he must stop smoking. George eventually left the ABC to join commercial radio station 6PR in 1996. His unique and highly valued services were also employed by Channel Seven. During his time he commentated on 93 sports and broadcast at six Olympic Games: 1980 at Moscow, 1984 at Los Angeles, 1988 at Seoul, 1992 at Barcelona, 1996 at Atlanta and 2000 at Sydney, as well as ten Commonwealth Games. George was considered a volatile chap who expressed things as he felt. On one occasion he lost patience with the temperamental monitoring system in his office, thereupon expressing his displeasure with his foot, which worsened the situation as the device became dislodged from the wall, crumbling to the floor in a mess. On lodging his fault report, his protests were not only furious but hilariously funny, with the officer on the receiving end rendered into uncontrollable fits of laughter, which did not ease the situation. A lot of people misread George, though those who knew him well were aware that even though he had a rough exterior, hidden inside was a more gentle soul. He tended to be like a horse with blinkers on, at times lacking some degree of peripheral vision, as often he was not aware that he had hurt someone’s feelings, until it was pointed out to him. George was a passionate follower of harness racing who for many years broadcast from Gloucester Park and Richmond Raceway. He was also an avid punter who considered that only “poofters” back horses for a place. George was a good tipster, but rarely backed his broadcast selections, often opting to back something else on the nose. One evening at Gloucester Park he was determined to back a champion horse of a close friend, which was coming back from a spell and starting from the handicap mark of 60 metres behind. The press gallery were aware that the horse had a propensity to gallop, rather than settle into the pacing gate, and considered the gelding needed a run before reaching top form. They unanimously warned George against wasting his money, but George insisted that the animal was the best in the field, and supported it accordingly. When the starter released the barriers, the gelding lunged sideways and up on its hind quarters, thereafter taking no further part of the race. David Guy was then the Supervisor of Presentation at the ABC. George was known to take his race calling seriously and put much energy into it, even when mid race he swallowed a moth. A particular embarrassing moment occurred when he made a private, though derogatory remark in the broadcast box about a committeeman’s wife. Unfortunately the public address contractor had been working on the microphone switch which allowed it to be shared between the ABC and the PA, when appropriate. The contractor had erroneously rewired the switch incorrectly causing the microphone to be live when it should have been off, hence George’s uncomplimentary utterances were broadcast all over the course and into the committee reserve stand, where the committeeman and his wife were entertaining VIPs. George was noted for his encyclopaedic knowledge and during his 47 years in sports broadcasting he built a reputation as a raconteur with a tendency to cut off any talkback callers he did not agree with. However, he was admired by his colleagues for his meticulous approach to his work. Grljusich’s call of Ben Johnson’s world record 100 metres sprint at the 1988 Seoul Olympics is regarded as one of the best of all time. He spoke 53 words and nine sentences in just under 10 seconds. 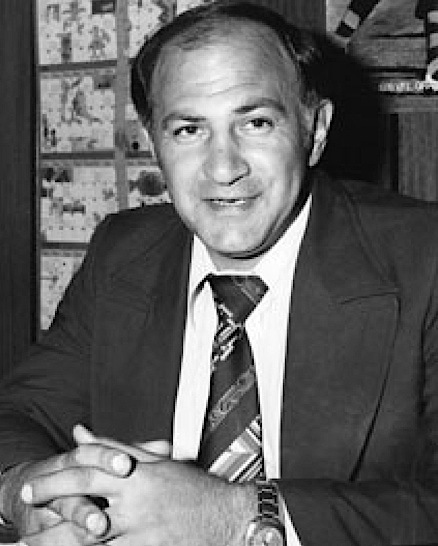 In 2004, the media box at the Fremantle Oval was officially renamed the George Grljusich Media Box in honour of the veteran broadcaster. 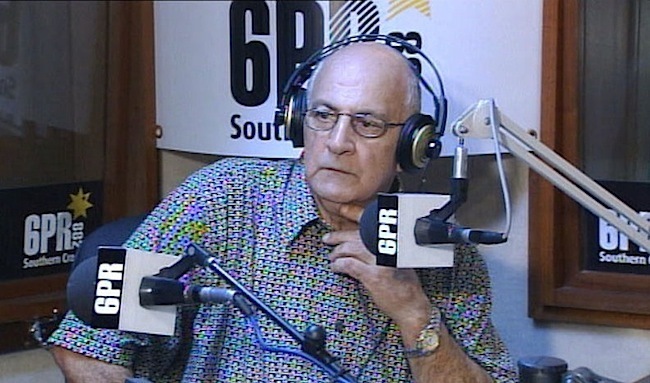 George retired from broadcasting in October 2007, after being diagnosed with terminal lung cancer. He died on 6 November 2007, the day of the 2007 Melbourne Cup, aged 68. 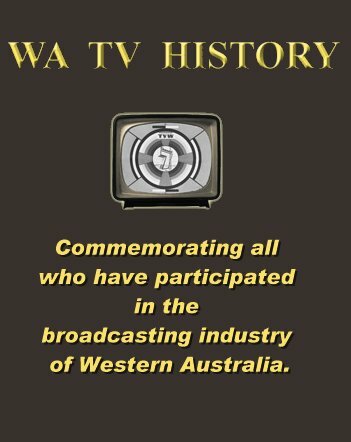 In November 2007, Radio 6PR announced the establishment of the The George Grljusich Sport Broadcasting Award for students of the WAAPA Broadcasting course. During the broadcasting career of George Grljusich he commentated on 93 sports and broadcast at six Olympic Games: 1980 at Moscow, 1984 at Los Angeles, 1988 at Seoul, 1992 at Barcelona, 1996 at Atlanta and 2000 at Sydney, as well as ten Commonwealth Games.